Star Wars themed Nankai Electric Railway Official Opened – The Milky Way Express Rapid! A long time ago in a galaxy far, far away… We found the Milky Way Express Rapid in Osaka! Very cool right!! If you are a Star Wars fan, and you are travelling to Kansai or Osaka, you are lucky! 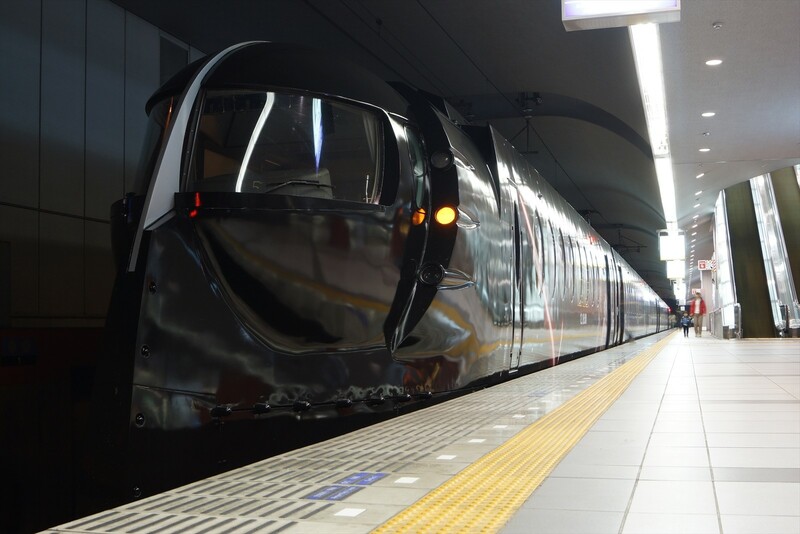 Because the Nankai Electric Railway had introduced the Milky Way Express Rapid on the 21st of November (operates between Namba Station to Kansai Airport) was officially opened. This coach will operate until May 8, 2016! To match the release of “Star War: The Force Awakens”, the coach is decorated with special print from the Star Wars series, the body is painted in black and the trains head look like the Darth Vader’s helmet, it is very stylish and cool! When the black coach stops, it feels like it is entering the future~ Don’t forget to board the train! If you are traveling to Osaka, it is best to travel with Rapid, it is easy and fast! It only takes 38 minutes to travel from Kansai Airport to Namba Station, the ticket price starts from 1130 Yen! Japan is famous for its punctual train schedule, reserve some time to go through the custom and collect your baggage; you can check the schedule on the official website!Not sure how long it takes to go through customs? Don’t worry. Every 30 minutes, there will be a Rapid coach, it operates from 7 am to 10:30 am! In order to commemorate this special Milky Way ExpressRapid, Nankai Electric Railway launched 3000 special edition “Express Way Tickets”. The design is very unique; it is categorized into Super Seat（1,440 Yen）and Regular Seat（1,020 Yen）. If you want to purchase the ticket, you can get it from the second floor service center in Namba Station, Shin-Imamiya Station, Tengachaya Station, Sakai Station, Kishiwada Station, Izumisano Station, Rinku Town Station and Kaisan Airport Station’s “Nankai Electric Railway Express Train Counter 「南海電鉄の特急券発売窓口」. Moreover, there are many Star Wars limited edition products, remember to pay attention to it!